I’m actively incorporating feedback and am planning to release further episodes as well, so happy to hear critical feedback. A couple of times I got disoriented and couldn’t remember which room I was in/whether I was making progress or regressing. Same here. Maybe change colors when a screen changes? Just to repeat what everybody’s saying, this is much more fun than what it looks it’s going to be at the beginning. 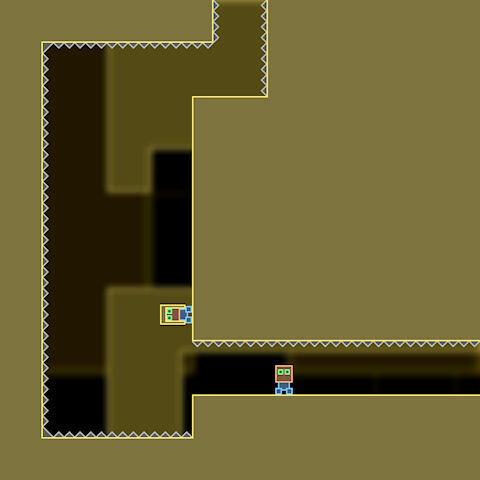 And not because it has any weird twist, the levels are simply well designed. I will however say, as Stephen, that sometimes I got confused and went out of a room to the previous one, thinking I was going to enter the next one because I had solved the puzzle. Some visual clue indicating which way you entered and which way you must continue should solve this. Moreover, I personally got to the final level still confusing the two rotate keys. I found it hard to make fast decisions because my brain would spend ten seconds recalling which key turned the screen in which direction. I know this is maybe just my slow brain, but some visual representation of the spin direction for each key might have helped. Also, if you don’t go back to the screen where your girlfriend is when you start, then when you get there at the end of the game you briefly think the game has another ending ’cause you see the way out of the screen as a possible continuation. This could be easily avoided by starting the game with Spin in the girlfriend room, actually falling down the hole. You’re the 5th person who said they kept getting the rotate direction wrong. I wonder whether it is because the keyboard is below the monitor so the left arrow feels like it should move the bottom of the screen in that direction (i.e. rotate clock-wise instead of anti). Thanks for the great feedback, and same to the other guys as well. Cheers! Yeah, that was the logic for the current controls. Good idea about nudging people in the right direction. A few people on TIGSource suggested the controls should be explained in-game and not just on the website, so I’m planning on adding some guidance at the start of the game. Explaining it the way you described would be a great way of planting that seed so people don’t get confused. i hate and yet it moves but i love VVVVVV . WHAT DO????? It’s pretty short. Worth a try!